I am so excited to get another C.W. Gortner novel! The Last Queen was one of my best reads in 2010. And the gripping memoir I also received is part of my goal to read more books related to my field. Mailbox Monday was created by Marcia at A Girl and Her Books. It is the gathering place for readers to share the books that came into their house last week. Mari Reads is hosting for the month of May. You can view the touring blog list at Mailbox Monday blog for the upcoming months. 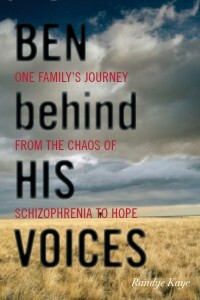 Ben Behind His Voices is the gripping story of one family's challenging experience when their firstborn is gradually struck down by schizophrenia - and how they learned to love and support him throughout his eventual steps to recovery. This page-turning narrative will inspire and educate any family going through hard times with the mental illness of a loved one. It also provides valuable insight for others who want to understand how families are affected when mental illness strikes. At the age of fourteen, Catherine de Medici, last legitimate descendant of the Medici blood, finds herself betrothed to the King Francois I’s son, Henri. 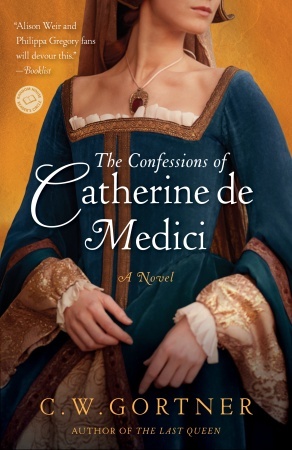 Sent from her native Florence to France, humiliated and overshadowed by her husband’s life-long devotion to his mistress, when tragedy strikes her family Catherine rises from obscurity to become one of 16th century Europe’s most powerful women. Patroness of Nostradamus and a seer in her own right, accused of witchcraft and murder by her foes, Catherine fights to save France and her children from savage religious conflict, unaware that her own fate looms before her—a fate that will demand the sacrifice of her ideals, reputation, and the passion of her own embattled heart. . .
From the splendors of the Loire palaces to the blood-soaked battles of the Wars of Religion and haunted halls of the Louvre, this is the story of Catherine’s dramatic life, told by the queen herself. What did you get in your mailbox last week? Ben Behind His Voices sounds like a very emotional book. I'll be watching for your review. Ben Behind the Voices sounds interesting but an emotional read. I will have to keep my eye out for it. My brother in law suffers from schizphrenia. Great mailbox! They both look tempting. Thanks for visiting my blog. These both look good. Happy reading!